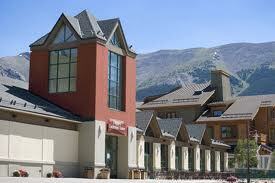 Summit County, Colorado is the ideal location for your next meeting or conference. Easily accessible from Denver International Airport by car or shuttle, your attendees will soon be surrounded by the spectacular scenery of the Colorado Rockies. In addition to the wonderful views, there are several large conference centers and plenty of meeting space available to you – all close to the amenities your attendees are seeking; skiing, golf, hiking and more. 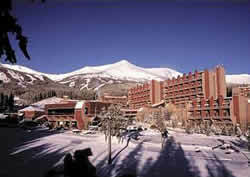 Beaver Run Resort and Conference Center boasts the largest conference facility under one roof in historic Breckenridge, Colorado. Offering 40,000 sq. ft. of meeting space featuring three Ballrooms, 23 Breakout rooms and two Boardrooms. Their professional staff will help you create distinctive meetings with ease, comfort and style. Groups from 10 to 1,000 find our versatile meeting space, competitive rates and location a winning combination for successful meetings and events. For more information on the Beaver Run Conference Center, click here. Copper Mountain offers an authentic Rocky Mountain experience in a European-style, slope side village with spectacular 360-degree mountain views. 68,000 square feet of meeting space and state-of-the art media create an ideal setting for your next event. Conference Centers and breakout rooms are all within a short stroll from village shops, cafés, restaurants and entertainment, as well as from guest accommodations. The intimate scale creates the ideal setting for socializing, networking and team-building between scheduled events. Click here to learn more about hosting your meeting or conference at Copper Mountain. With more than 100,000 square feet of exhibit, function and meeting space, Keystone Resort and Conference Center is the largest conference site in the Colorado Rockies. With three ballrooms and 50 flexible meeting rooms, Keystone can accommodate groups from 10 to 2,000. Unique mountaintop venues and dining experiences offer memorable experiences for your attendees. 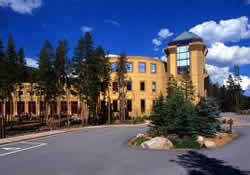 Click here for more information on Keystone Conference Center.